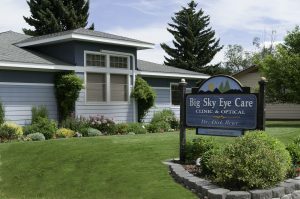 With an office in Hamilton, Big Sky Eye Care has been serving Western Montana and Grantsdale for more than 23 years. Welcome to our Hamilton location serving Corvallis, Darby, Stevensville, Victor, and Pinesdale, MT. Take a look at our FAQs. These are eye care questions our patients have asked us. Could Your Tablet Be Keeping You Up at Night? Learn more about the effects of blue light on sleep patterns. From G.S – Dirk and Teri are 2 of the nicest people on the planet! And they do an excellent job of making their business a reflection of who they are! Great care, great service and a great staff!!! Read More Reviews here.